Regency romances are an interesting genre, because they are a fictional romantic story set in a real time frame. Now there are two ways, a writer can deal with this concept. Many almost ignore the period they have set their story in. In doing this, they deliberately don’t specify the year and give few factual details of events that happened during the story. There are many romances of this type and although the characters and story may be well written, I have a tendency to want to label them as fantasy historical romance. Or you can get your history as accurate as possible around your real or fictitious characters that people your book. There is therefore an overlap between historical fiction and historical romance of this kind. Both genres may have important characters, who may fall in love amid factual events, wearing authentic clothing and behaving correctly or incorrectly for people in the period. Both genres can easily get their facts laughably wrong. It is quite possible if your story is set within a rural or isolated setting, to keep actual events in the country as a whole to a minimum. But there will be effects from major events even in an agricultural location. If a war has just ended, then there will be soldiers returning to their home counties. Some may be wounded or handicapped from their wounds from battle. They may bring back unhappy news of deaths of friends and family members. Within the community to which they are returning, the farming may have suffered from the loss of their best labour, so crops may not have been planted. Or the locale may have coped better without the extra mouths to feed and can ill afford to accept the returning heroes back into their lives being unable to find work for them to do. Women may find the men they were waiting for did not return, or is greatly changed by the experience of war. Wives may be widowed and lose their homes as a result, children may find they no longer have a father. 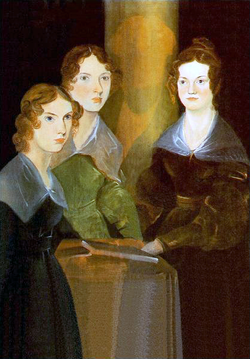 The Bronte Sisters by their brother, Bramwell Bronte. Wars may make items in short supply and peace may mean produce that was previously unavailable is now readily available. Prices of important products may soar or crash depending on how easy they are to obtain. Smuggling or pillaging further afield may increase or be stamped down on. Some returning soldiers and sailors, may have obtained sizeable life changing booty in the battles they’ve been involved in. The return of one character who has made his fortune abroad may improve the life of all those in his home area. Other major events may affect the lives of the people in your community. Have laws been changed or has taxation increased. Has the weather been especially bad or good, so that your characters are struggling to make ends meet or are celebrating their good fortune? Perhaps the Monarch who has recently taken the throne had a different religious policy to his or her predecessor. How may this alter the life style of your community? Small scientific and technical advances may make a major impact on your people. The invention of the weaving loom threw thousands of weavers out of work and resulted in a vast movement of people from country areas to industrialised towns. The poverty created by that one invention was horrific and resulted in groups of country people attacking the new machines to destroy them and so attempting unsuccessfully to protect the livelihood of themselves and their families. Even something as trivial as a change is fashions will eventually filter through to the more distant areas of a country. Exploration and colonisation of far distant climes may bring back new materials, products or food-stuffs. It is up to the writer to bring these historical events to life for their readers and show succinctly how they transformed the lives of those in his or her stories. Having established how the plot of your romance will be affected by events outside the control of your characters, it is necessary to decide whether any real life historical characters will be included in your story. This is where the two genres diverge. The historical novelist will have to include some important characters at least at a distance, but is more likely to weave the story around the actions and consequences of the activities of real historical people. The historical romance writer can step back a little and only include factual individuals in a minimal manner. In “the Fencing Master’s Daughter,” my first Regency Romance I fictionalised the Earldom of Chalcombe, its principle seat Chalcombe Manor, London town house Chalcombe House and counties, towns and villages of the English countryside. I did this to avoid identifying a real life person as Edward Charrington, who is of course totally fictional. This is a fairly traditional way of avoiding the complications of placing fictional characters in a historical setting. The only real characters mentioned in that novel are Wellington, Napoleon and the Prince Regent. None is used in person as a character in the book, however it is still important not to misrepresent them or place them in different locations to where they actually were, those kinds of mistakes are frequently spotted and jar with readers who have historical knowledge. 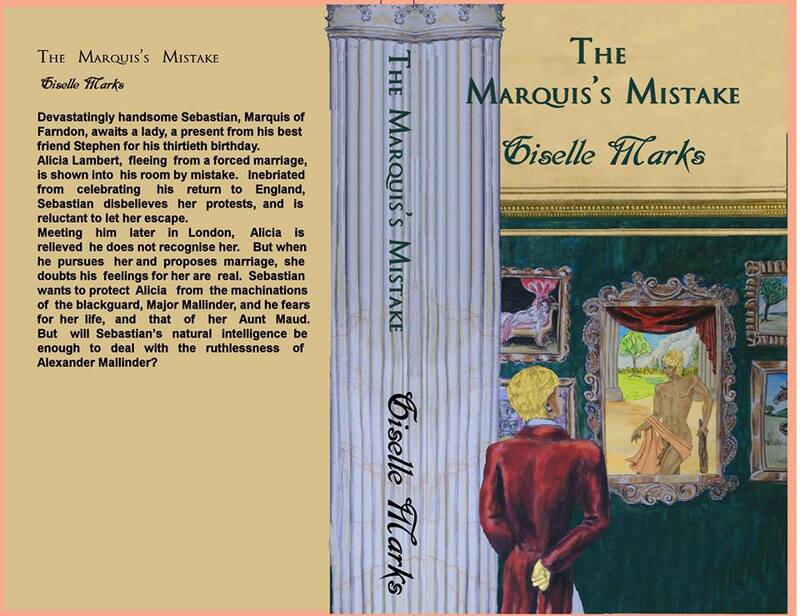 In my second novel which is just out, “The Marquis’s Mistake”, I mention the Duke of Cumberland, but I didn’t include the rest of his title or hint that he would later became King of Hanover. He is not seen by the reader but characters are invited to dinner by him and are delayed by a discussion with him. 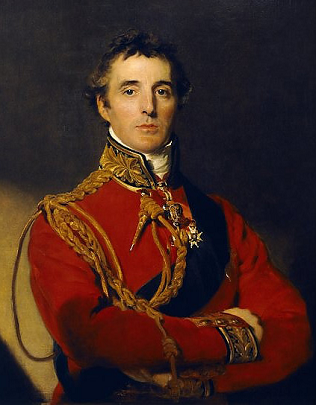 Wellington is again mentioned as is General Graham, although perhaps I should have mentioned that he’d been raised to 1st Baron Lynedoch in May of that year. I decided not to include that information, as it would have complicated the story by including a newly created Lord of whom most readers would have been unaware. It would be confusing to them as to whether he was a real person or fictional. I give the Prime Minister of England, Lord Liverpool a walk on part at Alicia’s first ball. I let him try to persuade the Duke of Langsdown to allow Sebastian Vernon back into the diplomatic service. I could have included that story without actually having him in the scene, but it seemed more natural to place him at the ball, even if he was not overheard. Personally I like to have a connection to the real world of the time in a historical; without the detail of the background of the real life events, a story is never complete IMO because it’s existing in an isolation that makes it unrealistic; and how can one engage with characters who float in an unsatisfactory soap bubble? it’s like gobbling ice cream without a spoon or any other sustenance. Thank you Sarah, got that comment up quick, I was still advertising the article! I wanted to say that as you do comprehensive research into the historical fiction you write so that your plots flow properly and it allows your narrative to work in the way you want it to be told. It is a really good aspect to your work and it makes your fiction really exceptionally good as it gives an insight from a fictional perspective with some background to a certain extent of the period it is set in and the events surrounding the time. Thank you, I have not been using WordPress much recently but intend to restart inputting new articles. There is a New Regency – slightly lighter called A Compromised Rake which is now on Amazon. I also write scifi and fantasy.